For Spring 17, LA-based killer brand MATE the Label is back with a stunning new collection and lookbook, taking us straight to Malibu’s sunny beachside. With a sense of nostalgia, carefreeness and a tropical state of mind, WAVES offers us everything we aim for having in our wardrobes this season. 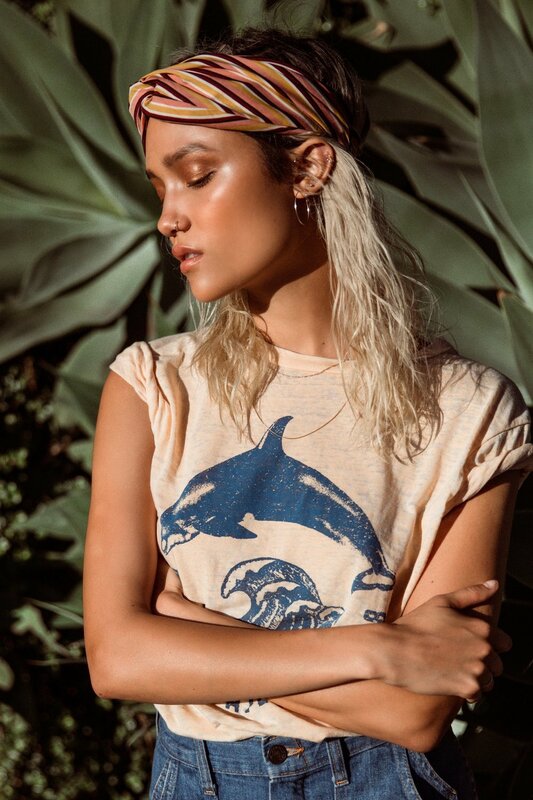 Designed and manufactures in LA, the new must-haves such as satin-like jumpsuits and dresses, kimonos, graphic tee’s and high-wasted shorts embody everything that MATE stands for - soft fabrics and a chill vibe, while triggering our thrill of anticipation for summer. Shot by long-term collaborator Bryan Rodner Carr, the lookbook features bombshell Charlotte Carey, chilling by the poolside, while literally ‘not giving a damn’! Find the lookbook below and shop your favourite new MATE pieces here!